OMD! This is beautiful. It should be "issued" to every Scottie owner, although those good ones already know the "creed" !!! This is so apt. So well written. I think if you cut me in half you'd see this running right though me. OMG....your words are so very beautiful and as Sparhawk Scotties aptly put it: those good ones alread kow the "creed". 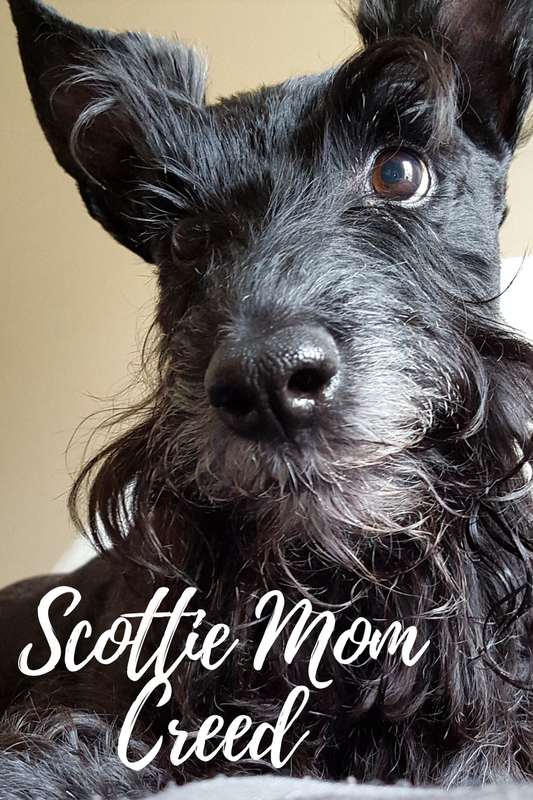 You, Scottie Mom, are gifted with not only the pen ('puter, now!). You are also gifted for having an innate sense of the Scottie. Mr. K & H love you immenseley and we, your/their followers, can see that. How you ask? We just take one look at their face...it is written all over! WOW! Beautiful words, Scottie Mom ! They come from the inspiration of all the love and care you have for these beautiful and lovely fur kids: Mr. K and brave Heather...!!! Thank you for sharing this with us !!!!!!!!!!!!!!!!!! Aw, now you made me cry. Scottie Mom, this pledge is beautiful! It rings true in the Taylor household, for sure!! Looking forward to sharing it on my FB page! Simply beautiful, thank you for capturing the true essence of Scottie love so perfectly. Aaaroooooooooo to you! Ewan thinks this human is right-minded. Woof! Beautiful! 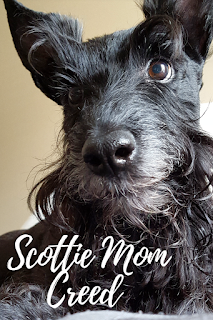 I agree for Mac "Dubh" and our new little Scoodle Bella...just because she's only part Scottie doesn't make her any less of a love bug! Been living this for 15 years without a moment's regret.